Yesterday we took the kids out of school and spent the afternoon in nearby La Plata. After many days in suburban City Bell (census says population here is 30,000 but it feels much smaller), the hustle and bustle of La Plata (almost 600,000 people) was exciting. 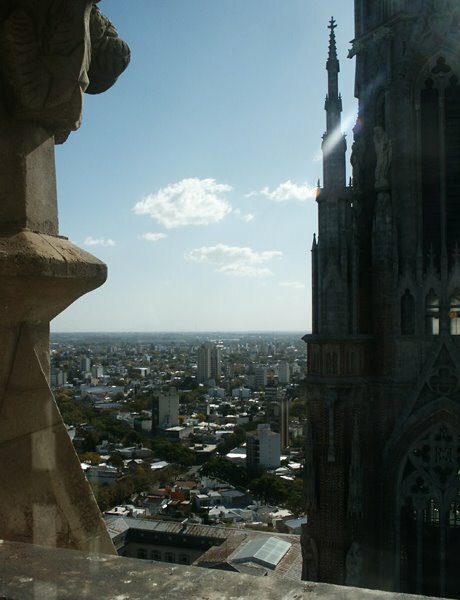 Of course still manageable compared to metropolitan Buenos Aires (over 13 million). 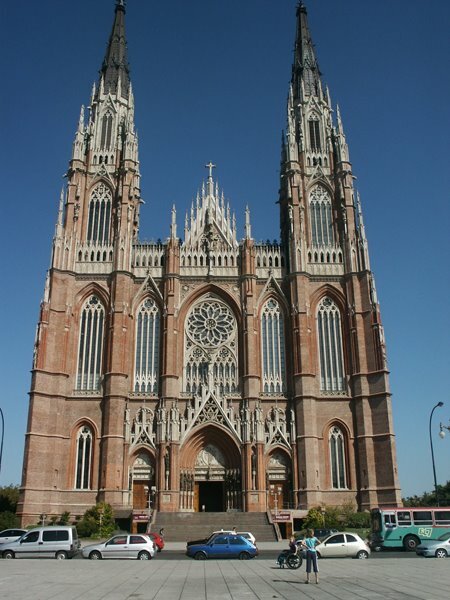 La Plata was founded in the 1880s by a man named Dardo Rocha. 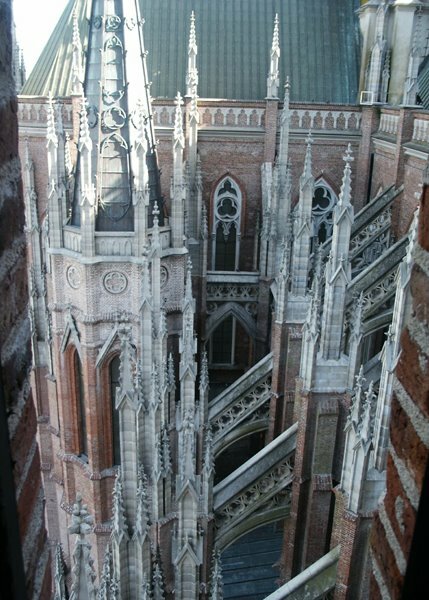 He and his wife are encrypted in the basement of the neo-gothic cathedral that’s in the center of the city. 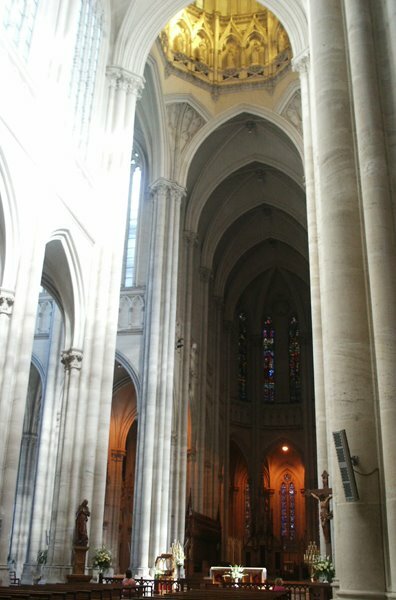 Relatively young cathedral (towers were completed just in last decade) with nice French stained glass windows. 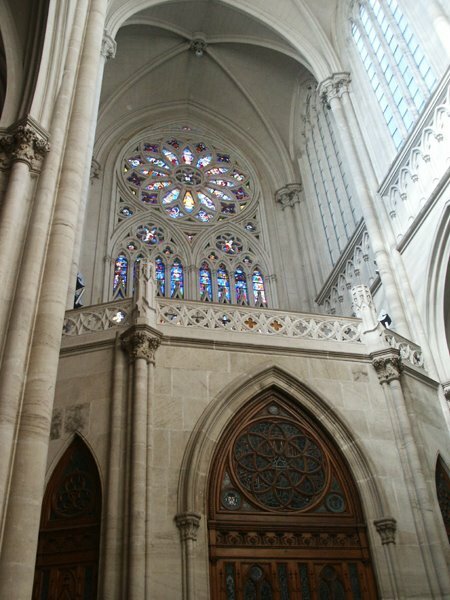 It’s the tallest cathedral in all the Americas, higher than St Patricks in NYC and that new one somewhere in Mexico too. Or at least that’s what I think I understood from the man in the elevator, whose rapid Spanish was a challenge to non-native ears, but wikipedia concurs. 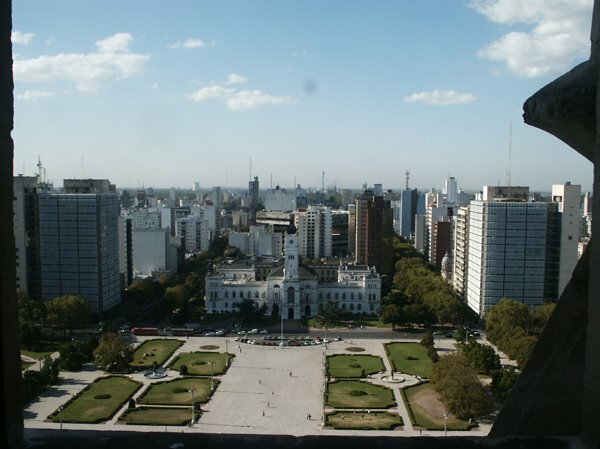 From the top of the tower one can look out over City Hall and the gubernatorial buildings (the white one and the two adjacent towers); La Plata is the capital of the Provincia de Buenos Aires. It’s also known as an academic city and has a number of universities, including the national one with which Chris’s group is affiliated. Ice cream, coffee and shopping rounded out the rest of the afternoon. Next time we’ll hit the well-known museum of natural history and some parks with good climbing trees.